The Warrant Reduction Program is designed to keep Racine safe and fiscally sound. The program is two-fold. First and foremost, citizens with information regarding homicide cases or other violent offenses are encouraged to contact Crime Stoppers of Racine County by calling 888-636-9330. In some cases, rewards will be offered for tips leading to the arrest of violent offenders. Second, to keep our city financially sound, local government officials are currently seeking to recover the large amount of unpaid fines and forfeitures which recently exceeded $6 million. Some felony warrants listed on this website will require in-person appearance only in Circuit Court; however, most warrants may be conveniently cleared in person by paying online at this website or at the police department public service counter (730 Center St., Racine). 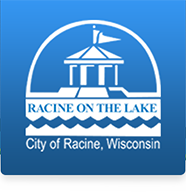 To help keep Racine safe and financially sound, area residents are encouraged to contribute to this effort by reporting any information that will assist in locating those listed within this site. How do I report an inaccurate record? Prior to the online publication of open police records, all existing warrants were manually reviewed for accuracy. Some information, however, may be outdated or involve extenuating circumstances (e.g., deceased subjects, posting of identify theft victims, etc.). Citizens who have questions or concerns regarding potentially outdated or otherwise inaccurate information listed within this site should contact Corrine Dombeck at 262-635-7737. Can I pay for someone else? If you have information regarding the whereabouts of any of these individuals that you would like to report anonymously, please click HERE. The information listed within this site is reported to be true and accurate. All warrants, however, must be verified via formal open records requests before any form of punitive action is taken against subjects listed within. Disputed information must be reported immediately to Corrine Dombeck at 262-635-7737. This web site is refreshed every 72 hours. Please allow adequate time for paid warrants to clear this system.